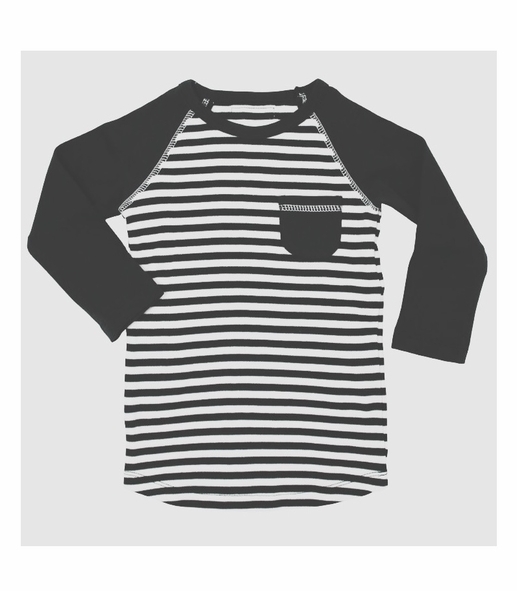 This ultra soft raglan top, part of the Stripe-a-Pose Collection, is perfect paired with the matching jogger pants or leggings. Grab a smaller size for a matching sibling set! Tops and pants sold separately. Made of 100% organic cotton by L'ovedbaby.